This is our Walrus Muzzle. 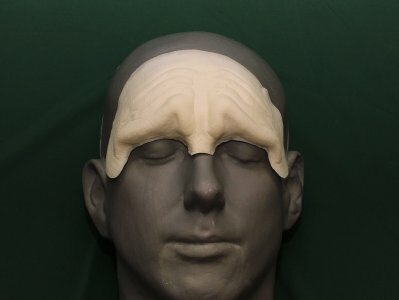 Like most of our pieces, this prosthetic appliance was made to fit most faces. 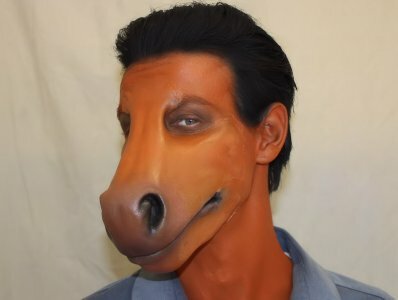 The main picture above is the hot foam latex version attached to a latex hood, made into a mask and painted in browns. This is a modest sized walrus muzzle. 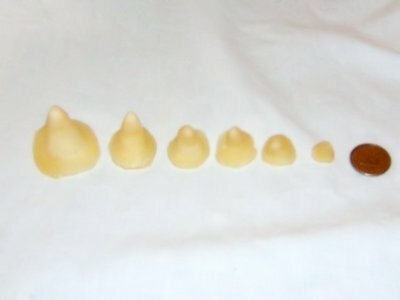 It has a short, fat and wide shape with a small nose. It has a flesh texture and a few wrinkles. It has 90 dimples where whiskers would go and comes with 2 tusks. It can be painted in browns or greys, to resemble many walrus species. It could even pass us a manatee. It is in four pieces and comes unpainted by default. Custom painting and walrus whiskers can be added to this muzzle. 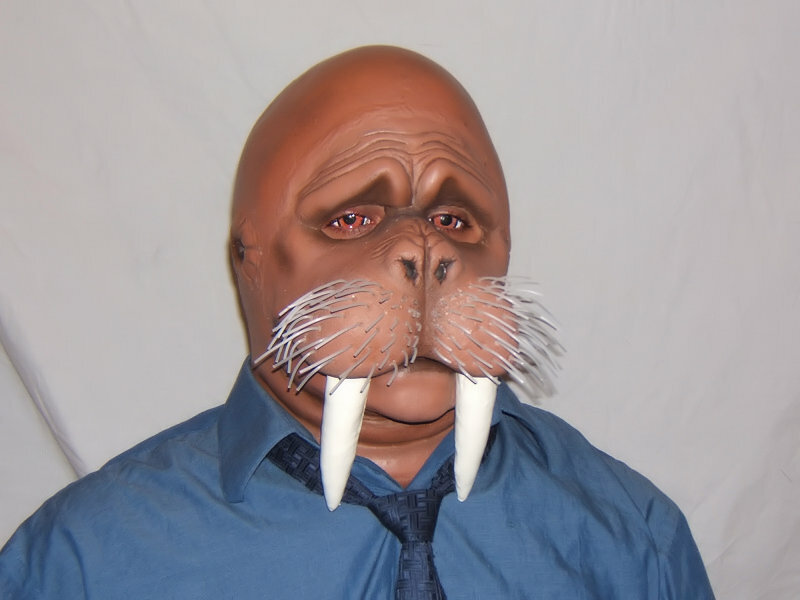 Contact lenses, ears and other prosthetic pieces other than the Walrus Muzzle that are shown are not included. 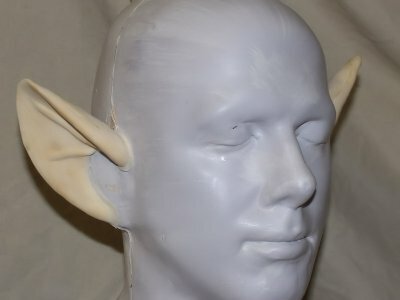 Using these types of costume accessories can help accentuate this prosthetic piece's features.